Media should park on gravel parking lot in the rear of the Sunoco Gas Station as you approach National Harbor. The Prince George’s County Fire/Emergency Medical Services (EMS) Department offers the following safety tips, to ensure that all citizens and residents will enjoy a safe and festive Thanksgiving holiday. Unfortunately, fire safety and injury prevention guidelines are often overlooked during the holidays. 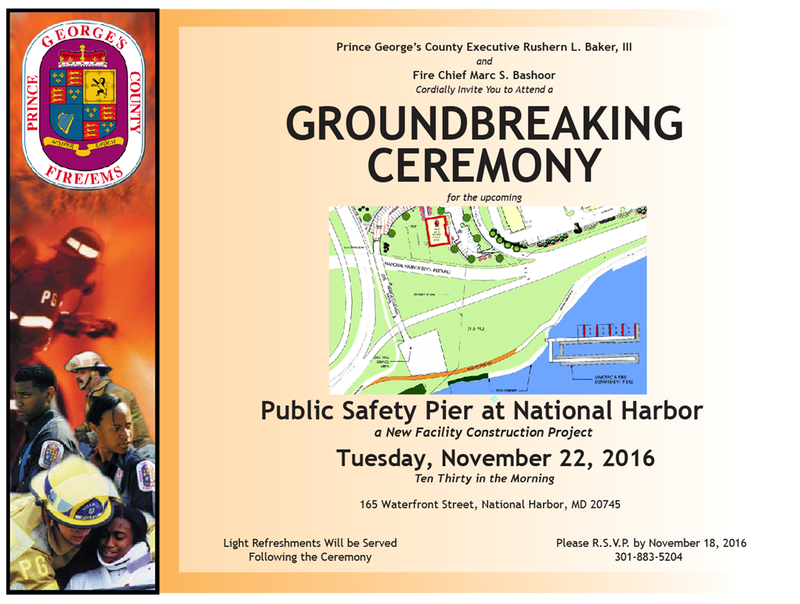 Prince George's County Fire Chief Marc S. Bashoor stated, "Everyone needs to keep Safety First and by doing so our citizens, visitors and businesses can avoid tragedy and disruption of their holiday festivities." • 10-year smoke alarms are required on every level of your home, in hallways just outside of sleeping areas and in every bedroom. Sleep with your bedroom door closed and test smoke alarms on the Safety First Day of every month. Working smoke alarms are required in all residences in Prince George's County. Consider upgrading to a 10-year tamper proof with hush feature smoke alarm and never change a battery again. If you can not afford to purchase an alarm you can call 311. A firefighter will install a working smoke alarm in your home; free of charge.